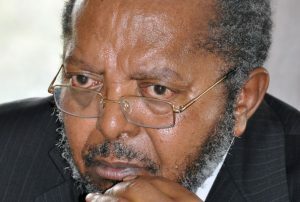 When Prof. Emmanuel Tumusiime Mutebile was first appointed Governor, Bank of Uganda (BoU), he told the employees that he will not entertain three things: corruption, overdrinking and absconding from work. He warned that whoever crosses the line will be shown the exit. So is BoU free from corruption? Read on. The BoU is one of the top competitive, employers in the land. The bank employees are given competitive packages. For example Directors earn up to Ugx. 20m. The salary comes with other benefits including sponsored higher education, various internal loans (General purpose, home improvement loans, etc.) Some of these loans are interest free while others have for a long time been charged at 03 percent. Ordinarily, every qualified Ugandan would love to work for such an organization. 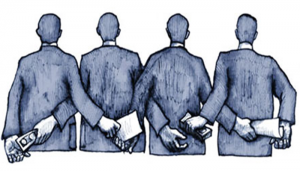 Above all, corruption would be the least one would expect at BoU. On the contrary, reliable sources say the bank of all banks is not free from corruption. A bidder who lost the tender to procure land for Governor BoU revealed the rot at the BoU. He says while he was willing to sell his land in prime and upscale residential area of Munyonyo with a secure neighborhood, with an overview of the lake, and immediate evacuation at price of Ugx. 2.6 billion. The tender was given to a bidder with of price of Ugx. 10.5 billion for a land measuring 02 acres in Mbuya. Mbuya cannot measure up with Munyonyo or Kololo. The whistle-Blower says the current market value for acre of land in Mbuya goes for between Ugx. 700 million and 1.2 billion. We have since learnt that top three bidders were: Ugx. 2.5bn for land in Munyonyo, Ugx. 04 billion for land in Kololo and Ugx. 10.5 billion for two acres in Mbuya. First, the procurement took longer than earlier indicated. From the 25 days to a full year. Ms Christine Alupo, the BoU Assistant Director for Communication defended the delay as a normal procedure in procurement. ‘‘Sometimes the bidders are required to bring in certain things which they may not readily have’’ She told Newz Post on Phone. Sources say, some unscrupulous BoU staff could have played a role in inflating the cost of the land so that they can earn from the difference. And this explains the wide difference between the three top bidders. Ms Alupo could not deny nor confirm this. She says BOU will come out with a statement after the investigations. ‘‘Let’s give time and room to those doing the investigations to do their work. For now let’s treat everything as allegations’’ she said. The 2016 Governor land scam is not the first incident in which the Bank is losing huge sums of money to fraud. Around 2005/06, the bank faced a similar incident. The bank procured a plot in Kololo for the governor’s house at huge sums of money (procured in dollars). When the board members visited the site, one of the board member is said to have alerted fellow members that the said plot belonged to former estates of UEB. He put his feet down, saying he cannot allow his name to be tainted. Today, the plot remains idle and is guarded by private security guards. Sources say the bank may never recover the money they spent on this plot. Ms Alupo says she is not aware of this incident since it happened long ago perhaps before she joined the bank. In a related corruption related incident, the Kabale Currency Centre refurbishment is said to have been substandard work. Two weeks ago, management had to rush to the Centre after the perimeter wall around the strong room collapsed. The refurbishment was done late last year. Reliable sources say these scandals are happening without the knowledge of the Governor. And when the Land scam reached him (He was in London) he quickly gave the authorities a go ahead with investigations. Sources say, the Land scam was a big shame for the Central Bank. Unlike the previous incidences, which have been managed internally, the Governors land scam did not. Reliable sources at BoU tell Newz Post that some top and key people at BoU are likely to lose their jobs following the shame the bank has gone through. Ms Alupo confirmed this, adding that BoU does not accept corruption and if the investigations convict anyone, those convicted will have to lose their jobs. 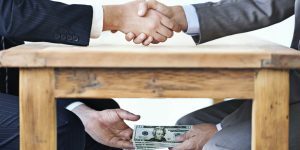 Is BoU free from corruption? Bank of Uganda might have to carry out financial literacy for her staff. Despite the huge salaries and the competitive packages, sources say, some staff living hand-to-mouth, thanks to extravagant lifestyle. 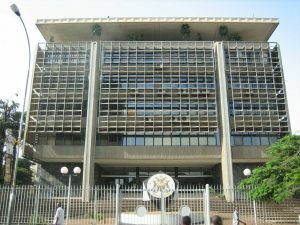 Analysts say, this could be the cause of alleged corruption at the bank of all banks in Uganda. Some employees are said to be heavily in debt (with commercial banks and moneylenders). It is little wonder the recent attempts by the BoU management to introduce CBR for staff was strongly opposed. Management had to withdraw the policy. Source from city moneylenders told Newz Post that indeed some BoU staff are their customers. Indeed, some BoU staff have been arrested by city money lenders only to be rescued by very close friends. They keep the matters to their chest for fear of losing their jobs that even family members are not in the know. Last week, the BoU expelled one of her staff- an IT officer for financial embarrassment. The employee (Name withheld) had huge loans with commercial Banks and moneylenders. His friends at BoU tipped him when moneylenders started to keep around BoU entrance. That is when he stopped reporting to work. When management learnt of this, he was fired.